For many people today, the cost of going to college is too big of a burden to bear. Fortunately, there are scholarships available for those who are willing to work for them. The following is a list of some of the grant programs available to students who want to attend college in the state of Alabama. This grant provides up to $1,200 each academic year to half-time and full-time undergraduate students when the funds are available. Colleges and universities participating in this program include Birmingham-Southern College, University of Mobile, Samford University, Faulkner University, Oakwood College, Southeastern Bible College, Stillman College, Concordia College, Selma University, Spring Hill College, Huntingdon College, Southern Vocational College, Judson College and Miles College. The program is not based on financial need. Interested students can obtain an application from the financial aid office at any of the above-mentioned institutions. This program is the only assistance available in the state that is based on the financial need of each student. It is a grant funded by the federal government. Close to 80 colleges and universities in the state participate in this program. Students who wish to apply for this assistance can obtain an application from the high school they attend or from the financial aid office at the institution they plant to attend. This scholarship is offered to students attending public junior and community colleges in the state of Alabama. The grant is obtained by performance in competitive auditions that are scheduled during the application process. Applications for the program are available at the financial aid office of any public or community junior college. This grant is available to the dependent spouses of Alabama police officers and firefighters who are killed while performing their job duties. It offers limitless funds to pay for the college expenses of undergraduate students in public postsecondary colleges and universities in the state. 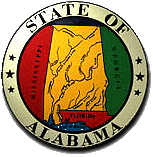 Interested students may obtain applications from the Alabama Commission on Higher Education at P.O. Box 302000, Montgomery, Alabama 36130-2000. This program is offered to Alabama National Guard members who are residents of Alabama and who are interested in an undergraduate or graduate program at a postsecondary institution in the state. Students may receive no more than $500 per semester or $1,000 per year. Applications for the program are available from the Alabama Commission on Higher Education, P.O. Box 302000, Montgomery, Alabama 36130-2000. This scholarship is offered to the children and grandchildren of World War I, World War II, Korean War and Vietnam War veterans who reside in the state. It pays for tuition, fees and board expenses at public postsecondary institutions in the state that have on-campus housing. Interested individuals must apply for the program through the American Legion Auxiliary Unit in their own community. This scholarship is given to twelve incoming freshman whose parents or siblings do not have a college degree or are not attending college themselves. Students must have a minimum 3.0 cumulative high school grade point average to be eligible for this program. They must also live in Alabama and be admitted to the university as a freshman. Those with more financial need will be considered for the award first. The scholarship provides $5,000 per year to the students and can be renewed for four years if a 2.8 grade point average is sustained in the freshman year and a 3.0 grade point average in the years following. This program is available to students who are citizens of the United States and have a permanent residence in Alabama, Arkansas, Louisiana, Mississippi, Missouri, Tennessee or Texas. They must be planning to attend an institution in the United States either full-time or part-time and plan to work with or already be working with children. Acceptable fields of study for the scholarship include areas such as Mental Health, Psychology, Counseling, Exceptional Children, Hearing Impaired Children, Speech Pathology and Special Education. Applications for the program are available online on the National Association of Junior Auxiliaries website from September 1st to February 1st. Students who are awarded the scholarship may reapply the following year. This scholarship is available to students who live in either Alabama or Georgia and who wish to study electronics, communications or any comparable fields. They must be attending a higher learning institution in Alabama or Georgia, have at least a 2.5 grade point average and possess an active Amateur Radio License. Interested students may apply online at the Charles Clarke Cordle website. The scholarship amount is $1,000. This scholarship is given to students in a four-year welding engineering or welding engineering technology degree program. He or she must be 18 years old, have a high school diploma or equivalent and be considered a full-time student at the institution. The student must have at least a 3.0 grade point average in engineering courses and a 2.8 cumulative grade point average. He or she must also be a citizen of the United States or Canada and plan to attend an institution in one of those countries. Students who live in or attend school in Alabama, Georgia or Florida will get first consideration for the scholarship. Priority will also be given to students who have work experience related to industrial gas or welding equipment distribution, those who are involved with clubs or organizations related to this field and those who show a financial need. This program is available to children of a blind parent considered head of their household who does not have adequate income to pay college expenses. The only requirement for eligible students is that they must apply for the scholarship within two years of the date they will graduate from high school. Funds pay for instructional fees and tuition at higher learning institutions in the state. Applications may be obtained through the state of Alabama by contacting Rehabilitation Specialist Debra Culver at the Alabama Department of Rehabilitation Services, 2129 East South Boulevard, Montgomery, Alabama, 36116-2455, or at 1-800-441-7607. This program is available to students in the state of Alabama who want to pursue careers in the environmental field. It is provided by the not-for-profit organization named Legacy, Inc. Students within two years of high school graduation can apply. Awards include $1,500 for undergraduate students and up to $2,000 for graduate students. The Bush Memorial Scholarship is given to junior undergraduates who have chosen Mathematics as their major course of study. They must be born in the state of Alabama and be classified as a full-time student. The Major John Pelham Memorial Scholarship is given to junior and senior students who have chosen History as their major course of study. Students who live in Calhoun County are given first consideration for the award. The Native American Educational Assistance program is only offered to students who are members of a tribe. It pays for tuition, fees and boarding expenses at a public postsecondary facility in the state of Alabama. Applications for the program can be obtained at the Indian Affairs Commission, One Court Square, Suite 106, Montgomery, Alabama 36104 or by calling (334) 242-2831. The Faculty Scholarship is available to incoming students at the university and awards different amounts of assistance based on ACT scores, SAT scores and grade point average. This scholarship is given to students who reside in Alabama, Arkansas, Louisiana, Mississippi or Tennessee and who are members of the American Quarter Horse Association or the American Quarter Horse Youth Association. Applicants must also compete in shows that are approved by the associations. The four-year scholarship is awarded to students involved with American Quarter Horses, those with financial need and those who have proven academic excellence. It pays $8,000 toward college expenses. This program is offered to the spouses and children of Alabama veterans with some type of disability. Students must enroll as undergraduates at a public postsecondary college or university in the state. Interested individuals may obtain an application from the Alabama State Department of Veterans Affairs at P. O. Box 1509, Montgomery, Alabama 36102-1509 or by calling (334) 242-5077. The Capstone Scholar is awarded to the in-state resident with a score of 27 on his or her ACT test or between 1210 and 1240 on their SAT test and a 3.5 cumulative grade point average. They will be given $1,500 per year toward their college expenses. The Collegiate Scholar is available to the in-state freshman with an ACT score of 28 to 29 or an SAT score between 1250 and 1320 and a 3.5 cumulative grade point average. They will receive $3,500 per year to assist with their college expenses. The Presidential Scholar is awarded to the in-state freshman with an ACT score of 30 to 36 or an SAT score between 1330 and 1600 and a minimum grade point average of 3.5. This student will receive the value of their tuition for four years. The University of Alabama Scholar is given to the out-of-state freshman with an ACT score of 30 to 31 or an SAT score between 1330 to 1390 and a 3.5 cumulative grade point average. He or she will receive 2/3 of their tuition expenses for four years. The Jay Murphy Scholarship is available to students who are working toward a teaching degree. Interested individuals must provide their transcripts, have a grade point average of 2.5 and must write an essay relating to the career goals they have. The program provides varied amounts of assistance ranging from $200 to $1,000. This program is available to minority students with a 3.5 grade point average and an ACT score of 23. It is awarded for academic excellence as well as financial need. Interested students must write an essay of their career goals and provide a copy of their high school transcript to qualify. The scholarship pays between $500 and $1,000 to eligible students. This program is offered by the federal government and can pay up to $5,550 toward college expenses for eligible students. Eligible students include those whose family income is under $60,000 per year. The assistance received varies depending on each student’s family size, financial circumstances, the cost of attending the institution they choose and whether they will be considered full-time or part-time students. Interested students can look up Pell Grants online and obtain an application for this program or obtain an application from the financial aid office of the institution they plan to attend. This scholarship is available to people aged 60 and older who attend any public two-year educational institution in the state. They must meet the admission requirements of the school before acceptance. Interested individuals can get more information about the program from the financial aid office of the institution they plan to attend. The only requirement to be eligible for this program is that the student must have played in a Dixie Youth Baseball league at some time. It is available to college freshmen. This scholarship is offered to interested students as a challenge to host blood drives for the American Red Cross. Students can receive between $1,000 and $2,000 for holding a successful blood drive and meeting other requirements of the program. This grant is available to students who plan to attend independent non-profit colleges and universities in the state. The program allows students to take courses at private schools, but does not offer as much assistance as the programs for those who attend public colleges or universities. Interested individuals can find out more information about this grant from the Alabama Commission on Higher Education at P. O. Box 302000, Montgomery, Alabama 36130-2000. Students who complete an application for federal aid and who are determined eligible for federal aid may be able to join the federal work study program at the institution they plan to attend. The amount of assistance received depends on the amount of funds available at the school and the financial need of each student. Students approved for the program may work either on or off the school campus and earn money to help pay some of their college expenses. There are many ways to obtain financial assistance with college expenses today. The best thing for every student to do is to maintain the highest grade point average they can, try to obtain the best score they can on the ACT or SAT test, and carefully research all the options available. Being prepared and knowledgeable of different types of assistance can save families thousands of dollars on a college education. My name is bernard williams , I took a young man in to give him a hand up about 4 year ago. He graduated from high school this year. I am not related to him also not in the best financial position to send him to college , but despertly want him to attend. I wanted info on a first generation grant for him , if he attend school in alabama as well as georgia, he would be the first in his family to attend, as well if there any info some type of grant by his dad pass when he was in the 5th grade .